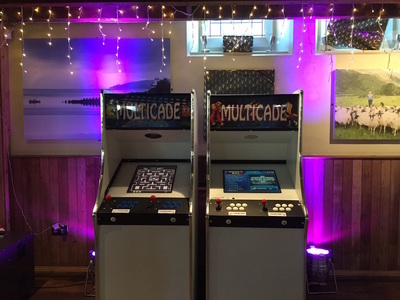 Our retro arcade machine hire is a fantastic and nostalgic option for event entertainment. The brand new product, arcade game hire, is exclusive to our region. We offer the chance to play the games of your childhood - especially with the Pac-Man arcade machine - and relive the good old days. 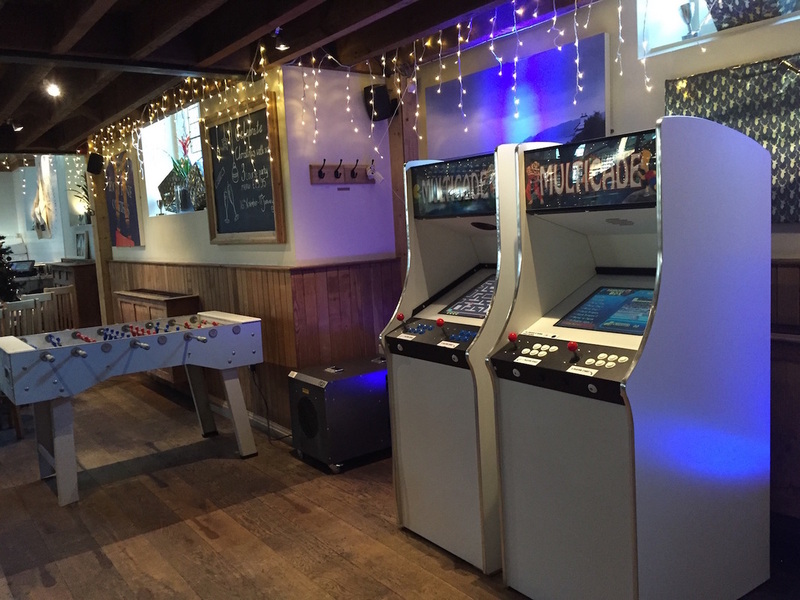 Our arcade machine hire games are the best to have ever been produced. The nostalgic titles include Space Invaders, Pac-Man arcade machine, Donkey Kong, Street Fighter, The Simpsons and so much more. 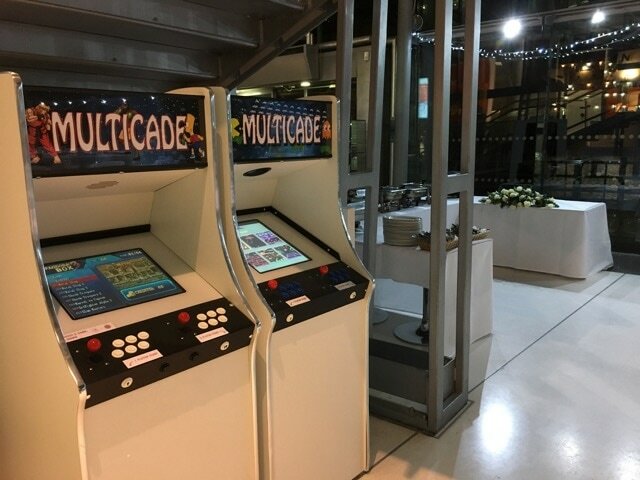 Arcade machine hire is enjoying a surge in popularity, and is one of our best event entertainment options for all occasions, parties and weddings. There’s no greater party games hire for your wedding, than by placing the likes of a Pac-Man arcade machine at your wedding reception for all of your guests to play. This event entertainment will certainly add a dose of friendly competition. Our arcade game hire event entertainment option is usually hired out on a ‘dry hire’ basis. Basically, this means arcade machine hire without the staff. 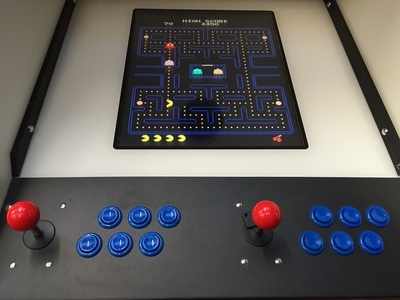 However, we can provide staff should you book the Pac-Man arcade machine hire among others, and the staff can run a competition with a prize for the winner at the end of the party games hire. 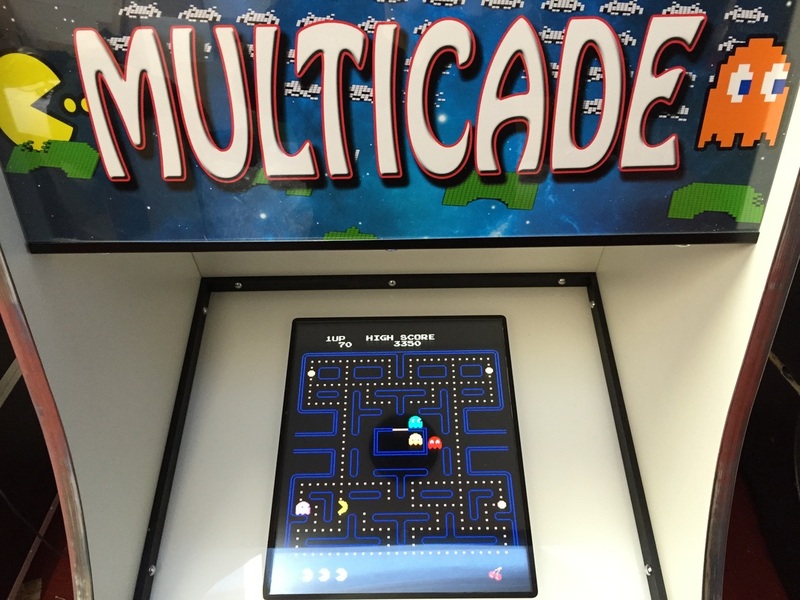 Our arcade machine hire, particularly the Pac-Man arcade machine, is also free to play. There’s no need to be weighed down by loose change, or have to source said change from somewhere. 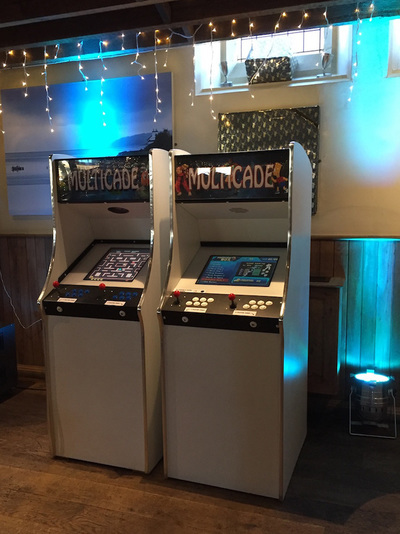 A lot of our arcade game hire allows two players, for head to head action. Suitable for: weddings / birthdays / anniversaries / corporate office parties / casual Friday's at work / something for the weekend in your venue / etc! If you’re feeling nostalgic, there’s no better event entertainment for your party (or even wedding) than the 80s arcade machine hire. You can relive your youth in the original gaming generation, with the likes of the Pac-Man arcade machine. There’s a huge selection of 80s retro arcade games to choose from - including our much loved Pac-Man arcade machine - and they are all available for you to play, without the need for change. It just gets better. We boast a vast range of popular titles, such as Space Invaders, Donkey Kong, Frogger, Galaga and so much more. Event entertainment doesn’t get more exciting than this. The fun doesn’t stop with the 80s… We also boast 90s arcade game hire for your event entertainment. The more modern titles are perfect for those that spent their youth at the local bowling alley, spending all of their pocket money on the arcade machines. The 90s arcade games include Street Fighter, The Simpsons, Metal Slug, The Turtles, Bubble Bobble and more. We offer a variety of package deals - book multiple cabinets to get our best pricing. Our most popular package is a twin cabinet package running a variety of classic 80's and 90's games. 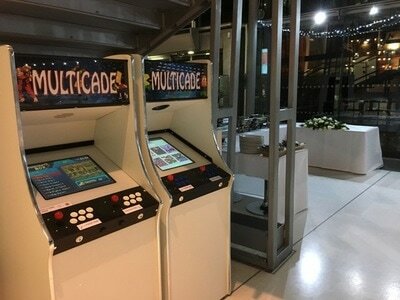 To discuss pricing for a Retro Arcade package at your event simply contact us. Please include your event date and location to ensure an accurate quote.